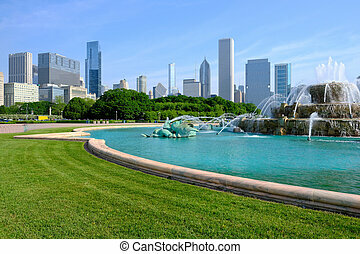 Buckingham, skyline, fontijn, chicago. 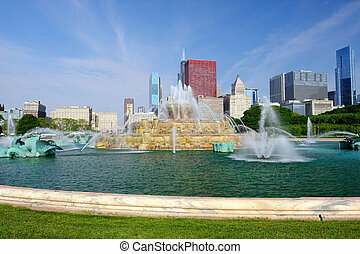 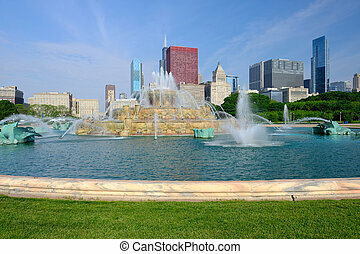 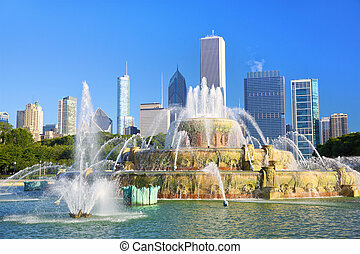 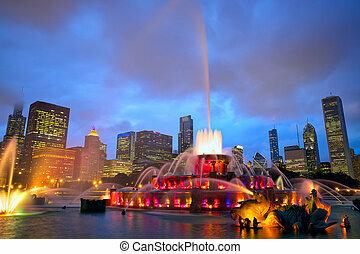 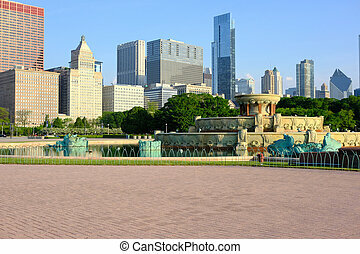 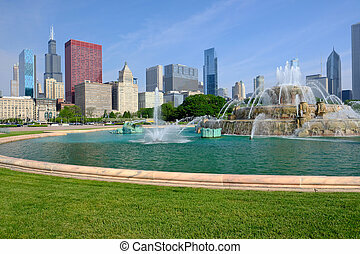 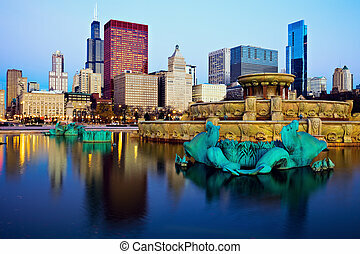 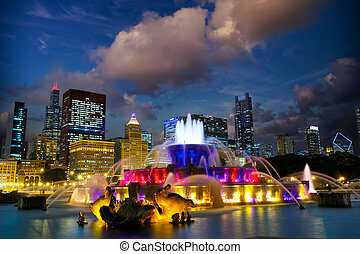 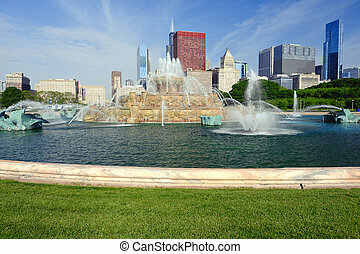 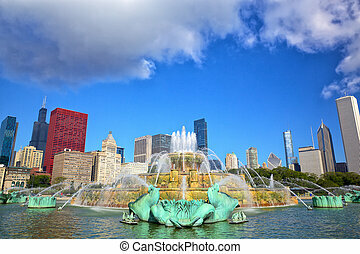 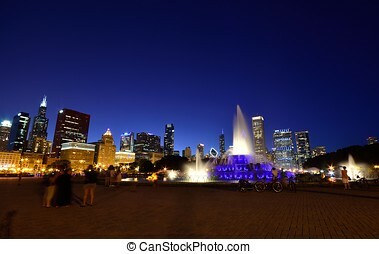 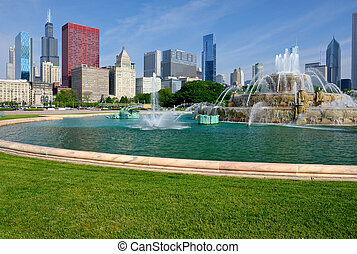 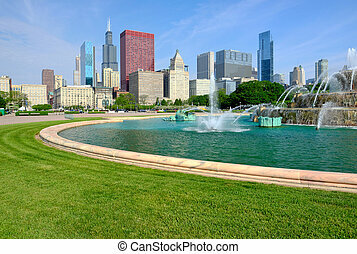 Usa, toegeven, panorama, chicago, park, buckingham, skyline, fontijn, nacht. 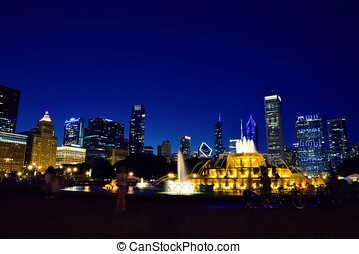 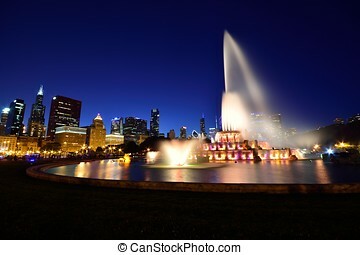 chicago, skyline, en, buckingham fontein, op, night.